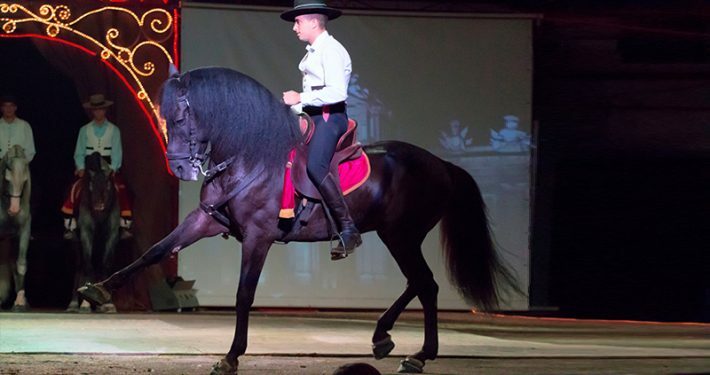 The P.R.E horse, also known as Pura Raza Española, is one of the most admired and valued animals in the world, but not only for its spectacular appearance and beauty, but also for its intelligence and elegance. 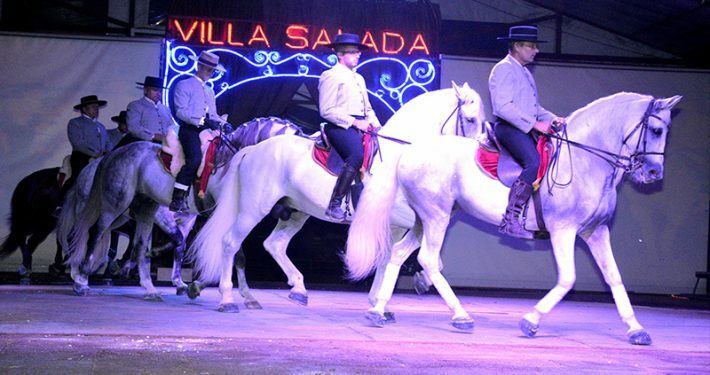 In this show we highlight all these virtues accompanied by an authentic variety of flamenco dance performed by a cast composed of dancers and horsemen. 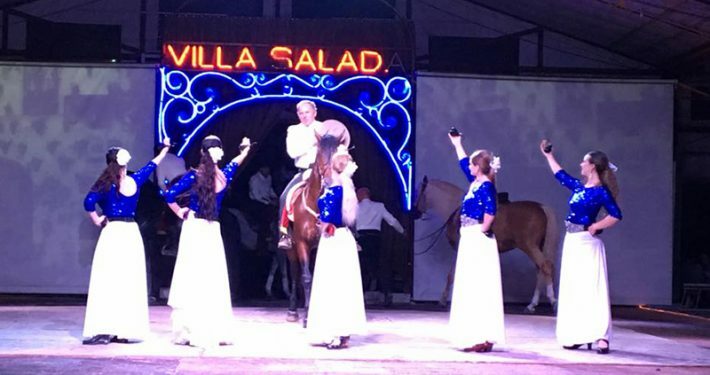 ARRIVAL night fusion dinner and well-known shows throughout the region, where you can find a different one for each night you visit. 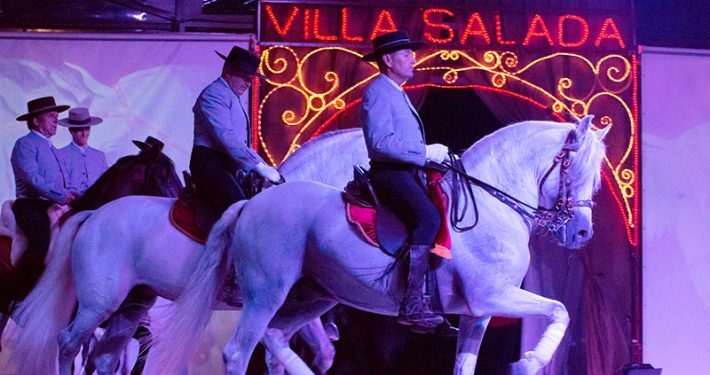 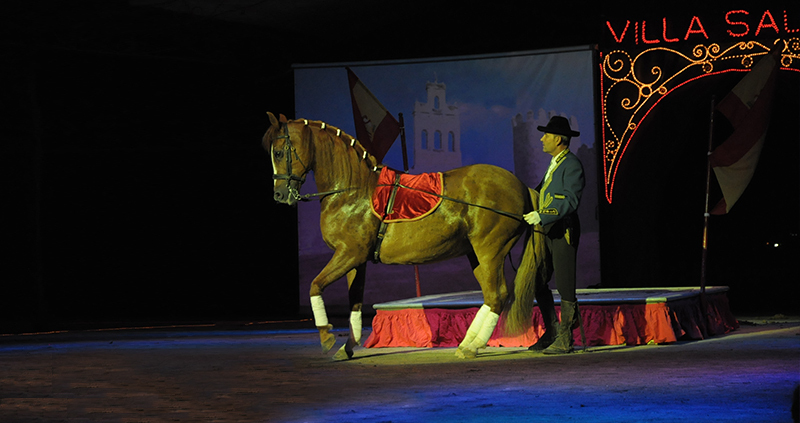 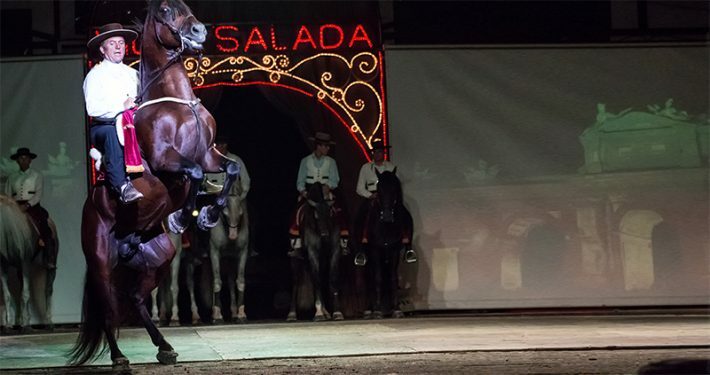 We guarantee you to spend an incredible night with the most beautiful horses in the world, the Spanish horse known for its nobility and character in conjunction with all those who make up the artistic scene, horsemen and dancers, who play in more important role on a designed stage for this equestrian art to make your evening unforgettable, together with your family and friends.